EY is a multi-disciplinary global leader in professional services, delivering exceptional client services across four service lines: Assurance, Tax, Advisory and Transaction Advisory Services. 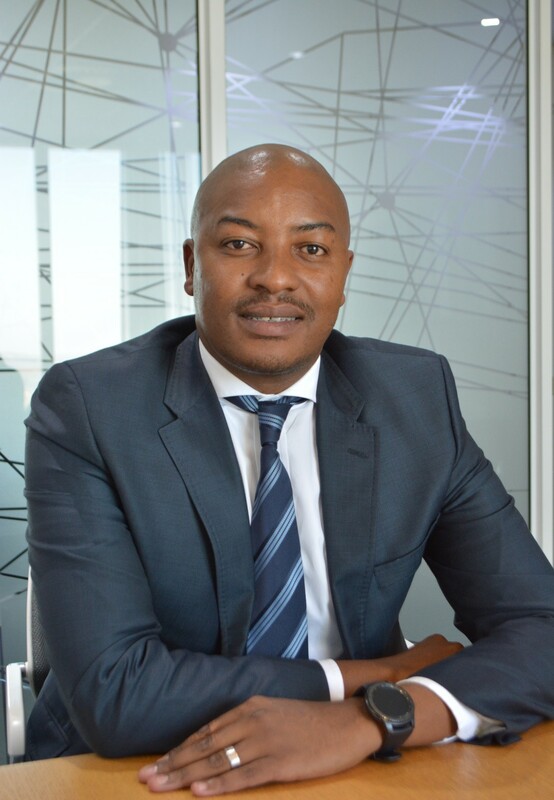 The South African Professional Services Academy spoke to Assurance Leader – South Africa: Stephen Ntsoane, about his personal and professional journey thus far. I was born and raised in Soweto, Johannesburg where I matriculated at Fonsluminis High School. I went further to do a 3-year National Diploma in Cost and Management Accounting at Technikon Witwatersrand. Navigating my way to a Chartered Accountancy qualification, I did a 1-year bridging course at the University of Johannesburg (previously RAU) and completed my CTA at the University of Kwa-Zulu- Natal through distance learning. I started my career at EY as a junior accountant in 2001, and in 2004 joined a medium sized firm to do my articles and went on to work as Audit Manager. In 2009, I returned to EY as Senior Manager, was promoted to Associate Director in 2012 and made Partner in 2014. I was appointed as Assurance Leader South Africa in July 2018. What does it mean to you that your colleagues have entrusted you with the position of Assurance Leader South Africa at EY? It is a huge responsibility, a great honour and privilege to lead a practice that I consider to be the heart-beat of our firm since July 2018. Our firm broadly draws its DNA from our Assurance practice that has been built over the years by my predecessors whom I admire greatly. EY is already a great organisation. My ambition is to leave the business better that I found it with our values further entrenched and a business that continues to afford all our people equal opportunities and great EY experiences. I would describe my management style as collaborative, as I like to engage with people. I want people to develop, so our environment must provide flexibility and people must be allowed the space to express themselves. I lead through influence, so it is a persuasive style in the main. I would say I am a strategic and cautious leader at times. Given my engaging persona, this provides me with the flexibility and agility to respond to circumstances as they require. I am passionate about the opportunity to touch people’s lives daily and my role provides me with an opportunity to do that. I am always excited about the opportunity to inspire our staff and most importantly the opportunity to provide exceptional service to our clients. Not living up to the trust bestowed on us by our clients, people and communities would keep me up at night. EY has a formalised career-counsellor-mentorship programme. Managers help their juniors with performance and career plans as well as development areas every 90 days – the process is made flexible so that the mentors and mentees meet as regularly as they feel the need. I encourage informal mentorship, I believe in story telling – when you share your career journey with others, you provide an opportunity for others to validate their strengths and identify areas of development. I never want to take away the human element from mentorship, I want the next person to relate to my story. I personally have mentors that are inside and outside of EY. I cannot recall any significant lows other than normal challenges of being a professional. My two defining moments would be in 2009 when I qualified as a Chartered Accountant, that was achieving my long-term goal and creating new challenges for me to look forward to. Making Partner at EY in 2014 opened a whole world of opportunities for me, I have never felt I was going backwards, I have had a great career thus far, I must say. I am happy with the impact I have had within the organisation over the years and also in my journey as Partner, it’s a huge responsibility and a collective effort by EY partners. We have done exceptionally well at the Gender Mainstream Awards with 32% women ownership at EY and 40% women in leadership. EY won the SAPSA Firm of the Year in 2017. EY in 2018 won the Top Employer in Africa award. EY has grown consistently since launching our Vision 2020 strategy. I look at the clients and skills that we have been able to attract and evolution of EY solutions that are increasingly supported by our Digital and Analytics offerings and this tells me we are doing something right. Our currency at EY is trust. This provides us with the licence to operate. The tone from top management re-enforces the importance of high quality work delivered in an ethical manner. We have a set of values, systems and processes in place to ensure that our culture of ethics and integrity is maintained, i.e. regular training on ethics. I personally want to be seen by our people and clients as leading by example. Diversity and Inclusiveness is a global priority for EY again our tone from top management to the bottom is that of diversity and inclusiveness in the more than 160 countries we serve. Bringing it home, we have made great strides in terms of race, gender, supporting our LGBT community and different cultures within EY. We currently have 41% black ownership and our aim is to have 51% black ownership in 2020. We have the EY NextGen programme where we identify high school learners from previously disadvantaged backgrounds to be exposed to the EY culture and activities that provide life and leadership skills. These girls receive support from grade 10 to 12 and become part of the NextGen alumni after high school, which facilitates ongoing interaction with and support from the NextGen community as they prepare to enter the world of work. This is a programme that I personally find joy in being associated with. Respect is key in showing how we value each other as colleagues, as teams, to our clients, our suppliers and stakeholders – promoting a strong people culture. Ethics and trust inform the professionals we become – we need to be clear that everyone is treated with respect. Exceptional Client Service is embedded in our vision 2020 and the EY experience – it is built into our systems and key performance indicators. We ask our clients what their expectations of great service and quality are, and we use that as feedback to inform how we deliver and become better at what we do. When you not at work, what do you get up to including family life, where can people follow you online? I love spending time with my wife and three children (aged 14 and our 10-year-old twins). I am a developing golfer, so no handicap yet. I also watch a lot of football on TV, local and international. EY Africa is active on Twitter, this is great way to engage with the markets we serve.